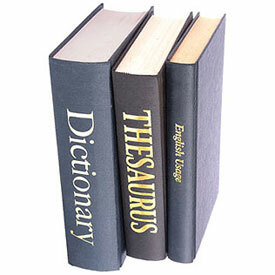 Does anyone out there write dictionary definitions for a living? Wikipedia – “A book is a set or collection of written, printed, illustrated, or blank sheets, made of paper, parchment, or other various material, usually fastened together to hinge at one side. Tablets of wood or ivory? Really? A book is a literary work, regardless of the format in which it is consumed. A book read on a Kindle or listened to on an iPod is every bit as much of a book read from a fine, leather-bound volume. Likewise, it shouldn’t require qualification as an “E-book” or an “audiobook.” They’re all books, the quality of which rests solely on the quality of the writing. A couple of weeks ago I streamed the movie Close Encounters of the Third Kind on Netflix as I exercised on the treadmill. The movie was still a movie, right? It wasn’t an S-movie (for streaming) or a T-movie (for treadmill). It was a movie. When you listen to Bono sing Sunday Bloody Sunday at a live concert, you’re not listening to a C-song (for concert), are you? I don’t believe this is new, but I think it’s an important clarification to emphasize in the digital era. Whether it’s fiction or non-fiction, a book requires a well thought out thesis that cannot be written or read in short-order. Books involve big ideas and big plots which take time. This gets to the heart of why we will always need books. If you want to process big thoughts, learn big ideas, effect big changes in the world, there’s simply no better place to turn than books. So does anyone out there disagree? Please comment below and let us know what you think! P.S. Hey book lovers, please flatter us by subscribing to this blog! Doing so plays a big role in supporting our philanthropic mission to fund libraries and other literacy programs in the developing world. This entry was written by Brad Wirz, posted on July 12, 2011 at 4:07 pm, filed under On Reading and tagged book, book lovers, dictionary. Bookmark the permalink. Follow any comments here with the RSS feed for this post. Post a comment or leave a trackback: Trackback URL.